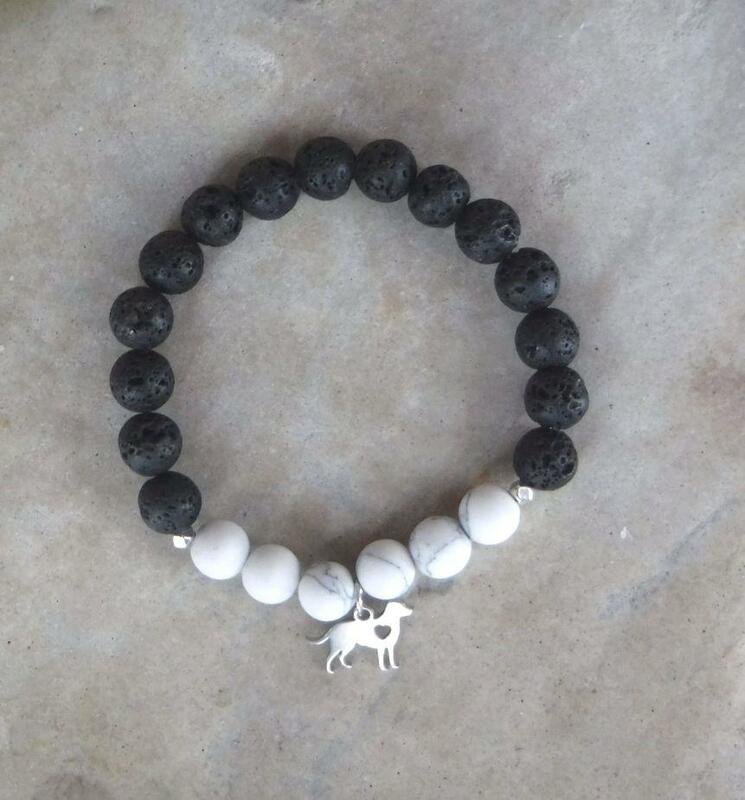 White Howlite; Inspires calming, helps with deep sleep, and increases insight. Black lava promotes strength and clarity. Paired with a beautiful stainless steel dog charm so you can show your love of dogs wherever you go.